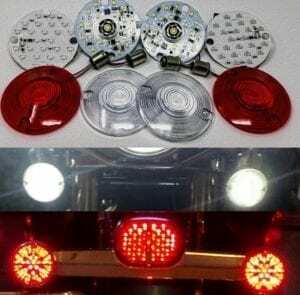 Complete set of REAR flat pancake style LEDs, 11567 mount. Red on Running, bright RED for Braking. Brand new top quality LED turn signal boards for your Harley. 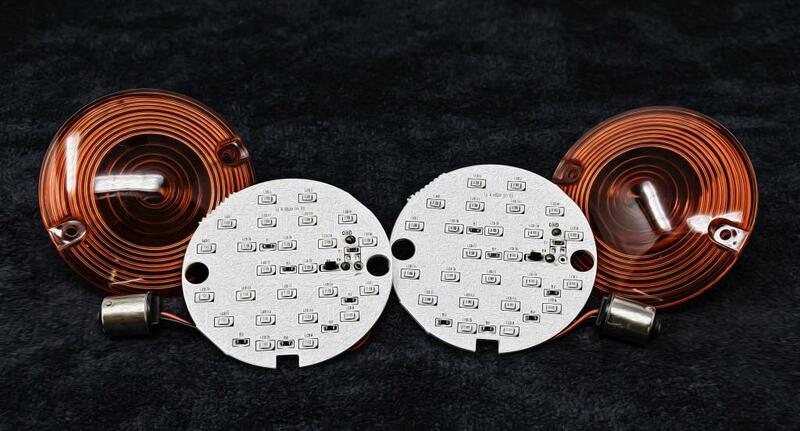 24 LED Chip ( brightest led chip in the market) much brighter than your stock bulbs. 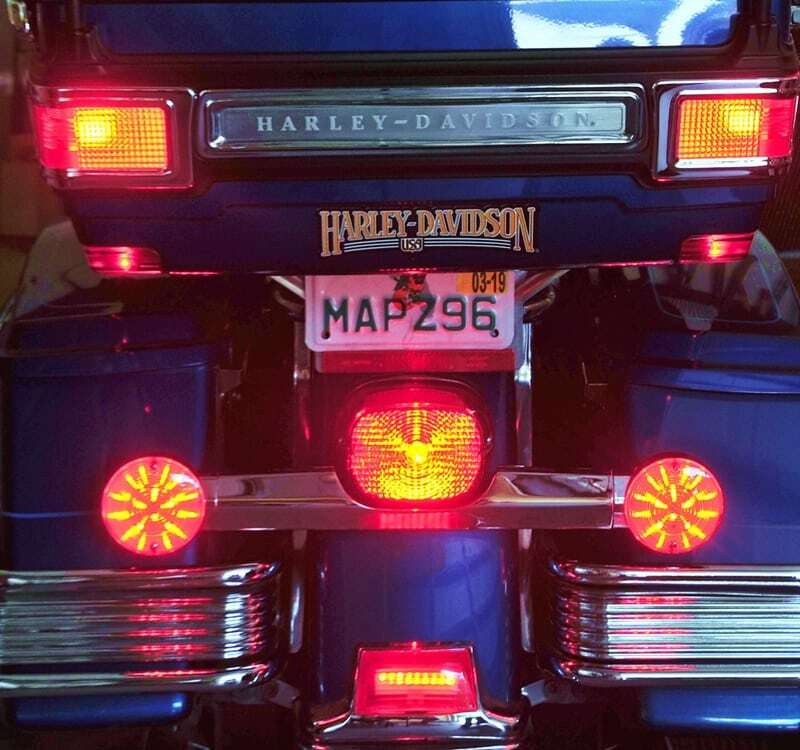 Package contains 2 LED boards, 2x 1156 RED rear, and 2 Red rear lenses for maximum intensity. 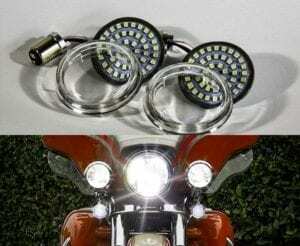 Will fit most 1986-2013 Harley models with 2 screw lenses. 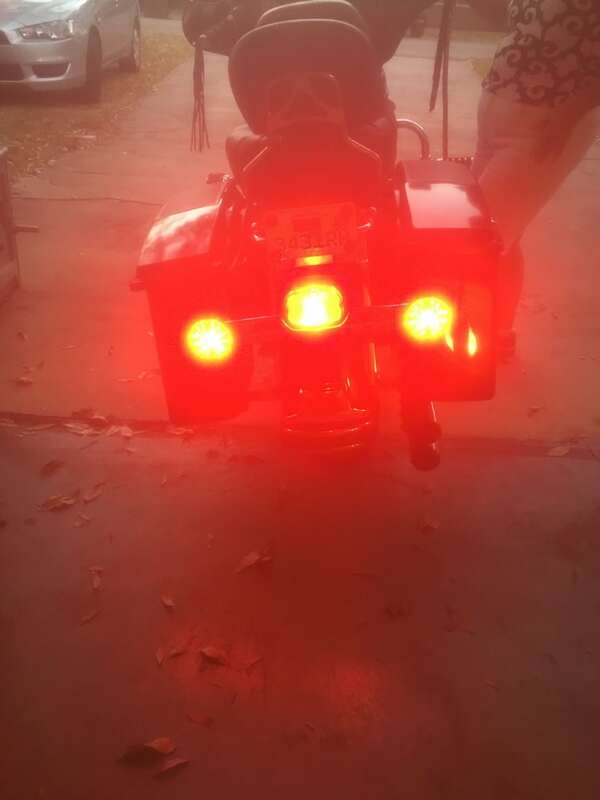 Some Bikes may require equalizer if LEDs blink fast.